Another newspaper article (in Dutch) about one of my Haiti presentations in an elementary school in the area. Basically starts by saying that when in elementary school, it's not everyday you have a special guest in your classroom. But that the children of this specific school did have a visitor from a real doctor. Cute. It then states that I showed pictures and told stories about my time in Haiti. And that the children were listening, speechless, as I told stories about children their own age, affected by the earthquake. About Francellot, the boy with two broken legs. And Marie, the victim who has never been to school but was taught to write her name by me. It mentions that the children in the school raised money for Haiti and that a portion of the money was given to me and used to buy medication for Haiti. A good article. 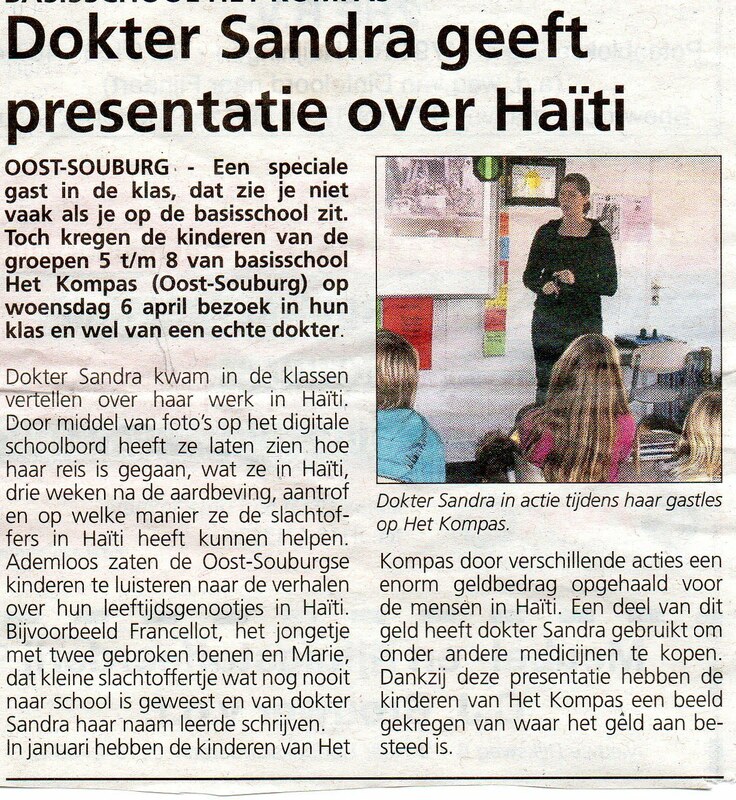 Once again bringing Haiti into the spotlight!